The Panasonic DY-WL5 is a Wireless LAN Adapter to add wireless network functions to your Panasonic Home Theater sets, Blu-Ray Players, Viera TVs etc. If you are looking for the Panasonic DY-WL5 alternative or equivalent, you would be pleased to know that I managed to use a cheap 3rd party WLAN adapter instead. 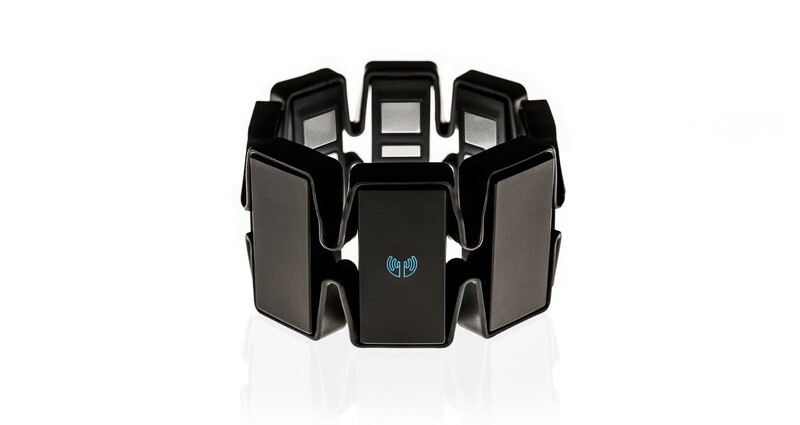 Flip between slides with a flick of your wrist, or clench your fist to close a window, all’s that possible with the Myo Armband. It senses your forearm muscle movements to provide computer input. Thalmic Labs, the company behind the gesture control armband, has come a long way in the development and the Myo will soon be available for order via Amazon. Myo is a gesture controller designed to track hand motion, among other things, that supports a wide range of applications from gaming and typical UI navigation, to remote control of devices like the Ollie and flying drones. Or just use it as a mouse to control your computer. It reminds me of the Leap Motion – which tracks hand gestures and motion via imaging sensors. While checking out some of the capabilities of the Myo (there are many), the following demo was impressive – using the Myo for robotics control, in this case, the Ollie. I was impressed by the sensitivity of the controller, and how it translates to minor changes in motion for the Ollie (3:45 mark). Another impressive demo was the combination of the Myo with a Parrot drone. Furthermore, the Myo communicates via Bluetooth, so no tangled wires to deal with. It does look rather bulky on the wrist though, and apparently it comes in one size, so Asians with small forearms might have to use the provided extra clips. It is priced at $199, which is on the expensive end, especially for a gadget that’s really more gimmicks than function for now. It is positive to note that there are already many setups for popular apps like Powerpoint, Netflix, so you can live out your geeky dreams of controlling your apps with gestures. I think it is still too early before the technology becomes more common. This is a definite conversation starter, and will be bound to impress, but novelty may run out after 15 minutes and there’s not much left to do. There’s also a strong push for VR in 2015 and that could work to Thalmic’s advantage. Perhaps, if Myo could tie up with a cool VR game and integrate the use of it as an immersive gadget, that could really help generate adoption. Interested folks can pre-order the Myo with Amazon. It does not have international shipping though, so you would need to use a forwarder like Borderlinx or VPost. I was looking at setting up a Plex Media Server on the cloud for a couple of reasons. It allows me to have my Plex server permanently on, and not having to leave my computer on all the time at home. The other reason was to access US-based content as Plex would be running on a foreign IP, and could access to Plex channels. I was looking at a few of the more common cloud options, AWS, Azure, DigitalOcean and a few others came to mind but I settled for DigitalOcean thanks to the free $100 credit for education-linked sign up through Github. The below steps would largely apply to other VPS / cloud providers but I decided to go with DigitalOcean because of the free credit. At $5 a month, I could operate the server for close to two years! I initially thought I could configure the on/off time for the server to reduce my monthly bill even further. Powering off the server will see you still consume computer resources and be charged accordingly. I guess you could create a snapshot and destroy the server when not needed. As home gadgets go, the power socket might be the least exciting thing, but with an increasingly connected world, they can be quite a precious commodity in your home or room.Eubiq is a local Singapore company that is trying to revolutionise the power outlet concept. Eubiq offers a series of modern-looking modular power strips or systems that looks to change the way we think about power strips. Each of us today now own so many more personal devices. You got your mobile phone charger, tablet, smartwatch, laptop, computer, TV, router, Cable TV Box, gaming console, etc etc etc. All these devices use electricity and we don’t have the luxury of keeping pace by redesigning the electrical supply for your place, be it office or home. It gets worse when you factor in your family members too. That limitation holds us back from having electrical appliances / gadgets where we want them. You can use an extension cord, which many of us do, but that just doesn’t look very good, and really leave behind one web of tangled cable mess.